Member Login Become a member! Are You Considering a Thailand Retirement? Turn Your Re-THAI-erment Dreams Into a Reality! Are you tired of all the conflicting and outdated information about living in Thailand? My job is to get you from where you are now to where you want to be ... easily! This membership site is aimed at removing the hurdles and smoothing out the learning curves and helping you get the updated and necessary information and details you need compiled all in one place to help you decide, plan, prepare and settle into your new Re-THAI-erment home. I will show you how to deal with every important aspect of living in Thailand and put your fears aside. Get details about visas, relationships, housing, costs, customs, food, safety and much, much more! Inside we have 65 Forums, 2791 Topics and 33008 Posts covering every aspect of life in Thailand! Over 600 private video postings, not shown on YouTube, covering visas, relationships, housing, costs, customs, food, safety and much more! 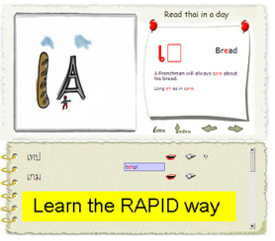 Free language resources and programs to help you to be able to quickly communicate in the Thai language! Every week a new weekly update covering what is happening in the news and in Thailand that affects expats. Ask and get answers LIVE and connect with the RC Asia community to establish friends before even getting here! Get Your RC Asia membership Now! Finding information relevant to your specific journey to a retirement in Thailand can be confusing, conflicting and time consuming. Not any more! We have made it simple with our RIPper (Retiree In Paradise) Pathway to Knowledge feature! So easy. You pick what stage are you in your dream of living in Thailand ... Deciding, Planning, Preparing or Settling in to your new life. You are presented with the relevant information specific to your own journey! Getting to and living a peaceful, contented life in Thailand has never been easier. Should You Worry about Malaria in the Cities of Thailand? Members have access to a wealth of info that may not be easily accessible elsewhere. Well worth the nominal membership fee. Recommended whether you are planning to move or are already here. The value that RCA delivers to me as a member has far exceeded the nominal membership fee for the past five years! The forum and videos gave me insight and information that allowed me to prudently make my move away from the USA and here to Thailand. Even after three years living in Bangkok, I still get great value from being and RCA member. JC does great work for his community and I am quite happy to be one small part of it! I've been a paying member for over 2 years now, and have spent about 12 months so far in Thailand on 2 trips during that time. The continuing value and resources that JC provides are still of benefit to me. Probably the best all around online resource about Thailand living and retirement. I highly recommend his member site. I've been traveling to Thailand regularly for over 25 years. Getting close to retirement. Lots of good info here for making the transition from frequent visitor to resident retiree. From the time I was old enough to be on my own I have been in love with different cultures. I set out on my adventure as a teenager delivering boats to the Caribbean. I witnessed amazing and happy people that didn’t have all the luxuries that the people back home had but were very happy and generous. Easiest Online Shopping in Thailand!